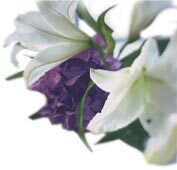 In keeping with our open door policy at the Falconer Funeral Home, we provide this section for individuals and families who havequestions or concerns regarding funeral services and would like the opportunity to ask - without making an appointment to come in and see us at the funeral home. Feel free to ask whatever is on your mind, regardless of whether your family has been served by our firm or not. All inquiries will be held in the strictest of confidence. As always, if you would prefer to discuss the matter in person we would be pleased to accommodate your request.